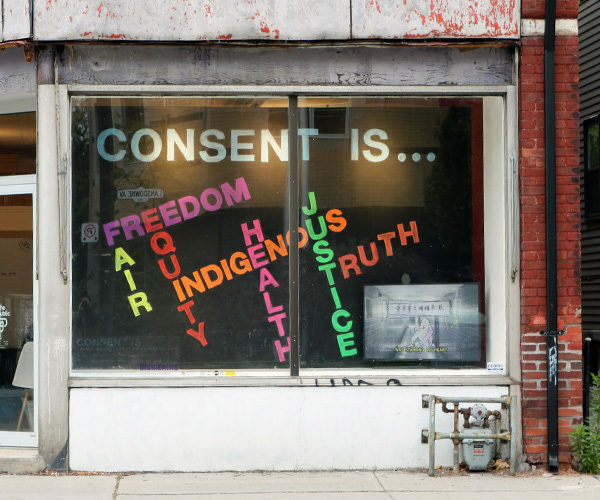 This October and November, The Public Gallery will be home to Consent Is…, a public education campaign authored by eight peer workers from Sistering, a drop-in for women and female-identified people in the Bloorcourt Village neighborhood in Toronto's West End. The project addresses problems of consent for marginalized people, including stigma and discrimination, lack of personal and public safety, and issues of criminalization and victimization. The aim of the campaign is to create widened public discourse on the meaning of consent, with a focus on changing attitudes and behaviours within public and social services. Stay tuned for details of the exhibit's launch on November 9, 5-7pm at The Public!